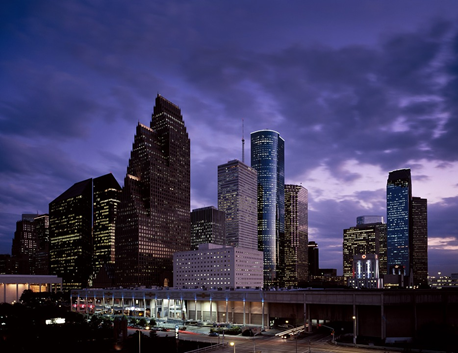 There are all kinds of locations across the United States that make for the “perfect” location to shoot a video, and the city of Houston in Texas is no exception. Whether you are looking for a location for a marketing video, a music video, or any other type of professional video, Houston has you covered with all kinds of top-notch places. So before you start putting together your ideas and visions, here’s a look at the top five places that you can shoot a video in Houston. The Space Center Houston is well-known, not just in Houston, but throughout the country and the world. It is the visitor center for NASA Johnson Space Center and is the first Smithsonian Affiliate museum in the city. It is obviously a massive tourist attraction, but on top of that, it offers some pretty cool backdrops for a video. If you have more of the outdoor nature vibe in mind for your video, then the Gerald D. Hines Waterwall Park could be better suited to you. The park is home to a fountain that is multiple stories high and is considered a sculpture and a work of art. It is directly across from the Williams Tower’s south face and was meant to add architectural elements and importance to the tower itself. If you want to visit while the fountain is on and running, then you can drop by between 10 am – 9 pm daily. The effect is quite spectacular as it looks like a horseshoe of rushing water. Museums aren’t just a great place to visit, walk through, and learn, they can also make the ideal location for your video shoot. The Houston Museum District is home to an incredible 19 museums, cultural centers, and galleries, giving you what can seem like endless options. Each one is unique with its own flavor and types of exhibits. Another fabulous outdoor option is Eleanor Tinsley Park, which is one of the most well-known green spaces in the city. Its landscapes are pristine and it can feel as though you’ve been transported outside the city thanks to its relaxing and serene vibe. For those looking for an edgier location, Kingspoint Mullet could be the way to go. This area is in the Southside of Houston, off the Gulf Freeway, and by the Alameda Mall. It allows legal graffiti so you can expect to see some pretty incredible work here. One final note is to enlist the services of the professionals, such as Beverly Boy, which is one of the top production companies in Houston. They are well aware of all the best locations for filming, they have the best equipment at their fingertips, and you’ll get the kind of content that you were envisioning. Houston is truly a city filled with unique locations that are perfect for shooting a film. Add to that the fact that the city is known for its incredible weather, and you’re bound to have some great opportunities.